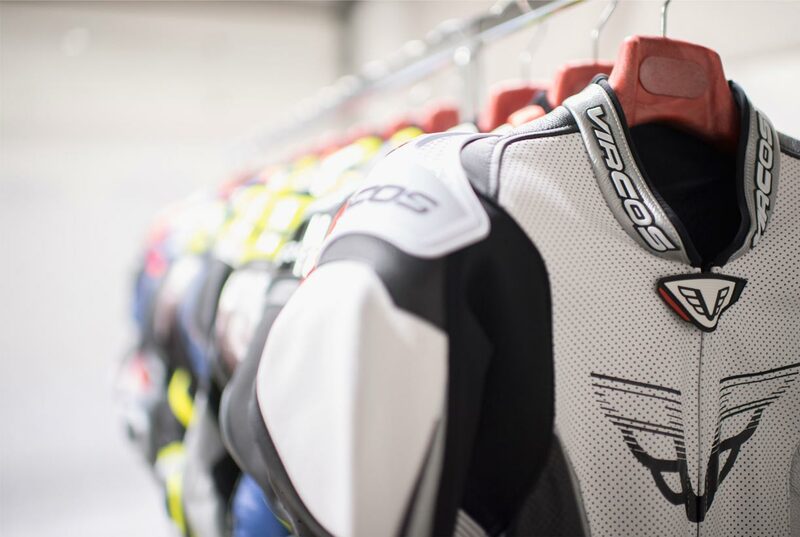 VIRCOS designs, engineers and manufactures fully-customised bespoke leather motorcycle suits. The company offers a wide range of one-piece motorcycle suits for riders and amateurs alike. As per sartorial tradition, each piece – created especially for the motorcyclist – is made by hand. The company’s strength lies in its extensive expertise accrued over the years, as well as its professionalism, the experience of specialised technicians, its speed, and the continuous research and study of the details that have always placed VIRCOS a cut above the rest. 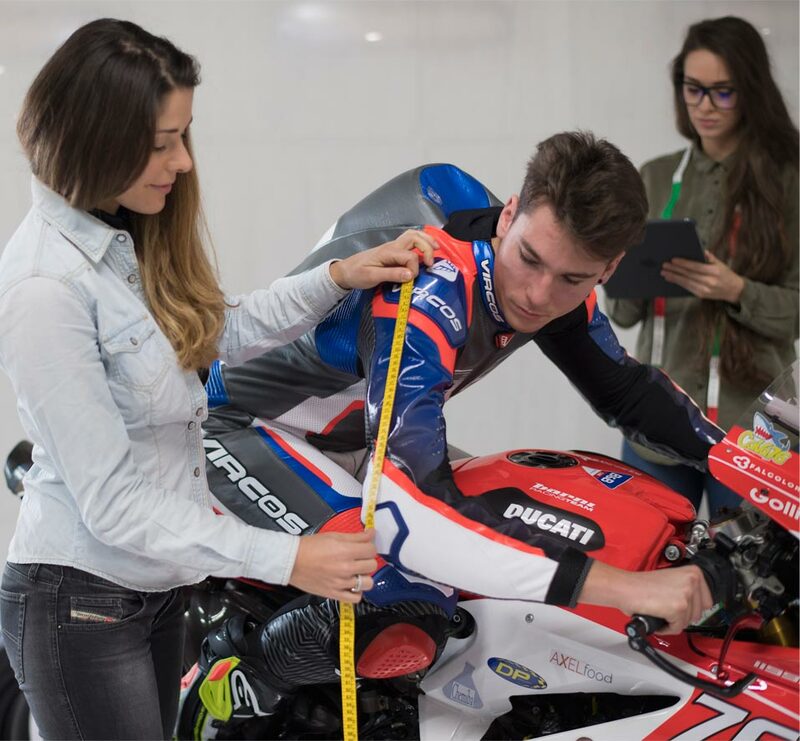 In our workshop, we create leather motorcycle suits which are tailored and designed together with you. Any aesthetic solution is possible: give us your design and we will bring it to life for you. You can configure your leather motorcycle suit however you wish, choosing the model, colours and materials. Our skilled technicians, with the help of specific digital programs and plotters, will reproduce these graphics in the workshop, ensuring the utmost precision. Forget the standard, forget the obvious. A bespoke suit is approached as a work of engineering: designed, engineered, tested, and only then actually created. Every detail is there for a reason, a specific purpose, with nothing left to chance. Everything is designed specifically to withstand stress and last over time, without ever losing sight of the main goal: TO PROTECT. taken right there on the circuit.